After winning the Test series in Australia, India Win the ODI Series. they defeated Australia in 3rd One day with 7 wickets in Hand. MS Dhoni, Kedar Jadhav guide India to first bilateral ODI series win in Australia Dhoni and Kedar Jadhav unbeten 80 and 54 Finished the job. After Winning 1-1, Electing to bowl first india restricted Australia to 230 all out. Chahal took 6 for 44 runs. 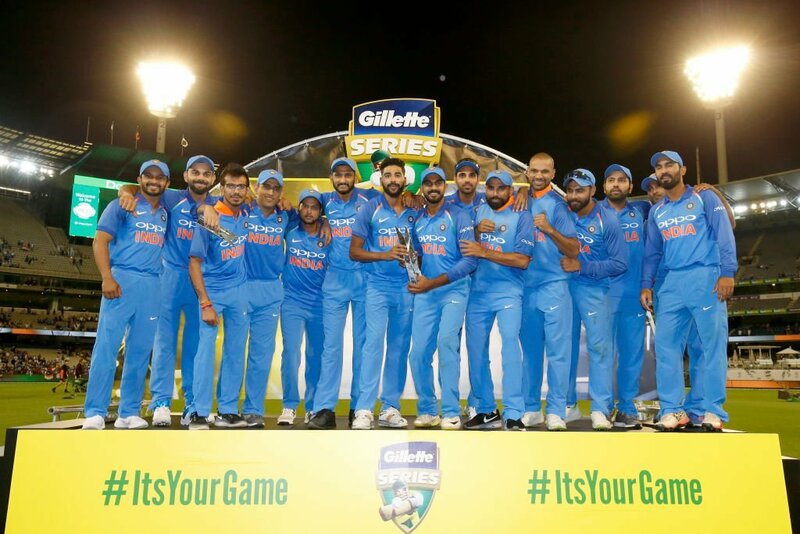 India created history by winning their first bilateral series in australia after winning 3rd ODI.